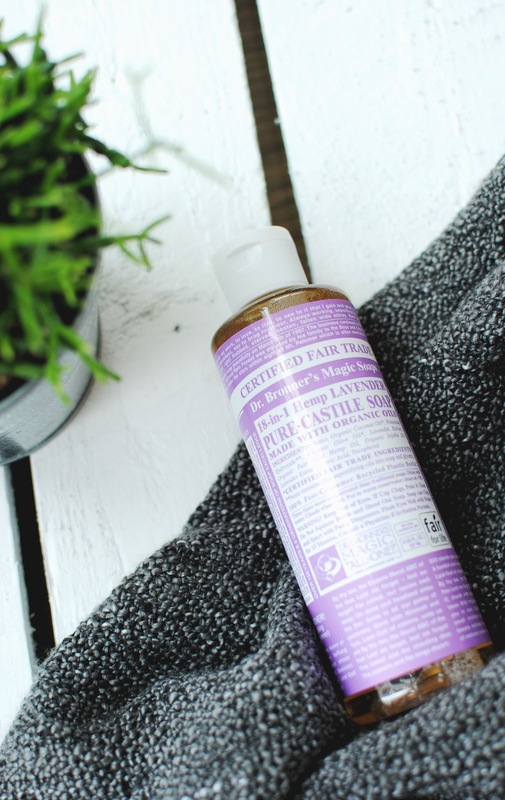 The Dr Bronner's magic soap has been a product that featured on a lot of blogs as it is commonly used to clean make up brushes one of the many uses of the liquid soap. I had wanted this around a year ago but I couldn't find it anywhere and didn't want to have to pay postage and packaging so after I had long forgotten about it I found it tucked away in the back of a shelf in TKMAXX . I couldn't believe my luck especially since it was the exact scent I was looking for Lavender! The soap has 18 plus uses some of which I have tried. I love using the liquid soap to wash my hands and body it makes them feel super clean and the scent lingers on your skin for a while after using it. The soap only requires a small amount to create a lather. I also tried to use the soap on my hair but it didn't work out that well. Whilst it is listed as one of the uses it really didn't do anything to my hair and required me to wash it again the next day as it felt and looked as if I hadn't washed my hair. The scent is also really strong and I love using it at bath time on my body rather than my hair. Have you tried Dr Bronner's Magic Soap? Great product review. Curious: what does it smell of? I really want these for makeup brush washing as the scents sound so amazing! Haven't tried one of these yet, but I have been meaning to! The 18 uses sound really cool in theory, but I doubt it would be very effective for all of them! Everyone seems to love it as a brush cleanser though. I keep meaning to pick this up from the health food store. It's supposed to be amazing for cleaning makeup brushes too by the way!